New products and specials are starting to appear in advance of the holiday shopping season, including new notebooks from Dingbats and MOO, as well as the most recent limited edition release from Write Notepads. Also, if you're interested in hand-made products such as a custom leather notebook cover from One Star Leather or a pen holder from Dudek Modern Goods, get your order in over the next month to ensure delivery by Christmas. New Dingbats Notebooks (via Amazon). You may recall my review of the Dingbats series of notebooks a while back. Dingbats reached out recently to let me know that they have released a new series of books with new designs and 100 gsm cream paper. MOO Softcover Journals from MOO (via MOO). On the heels of last year's very successful hardcover notebook, MOO has released a new softcover A5-ish notebook that comes with lined, dot grid, or blank paper. I should have a review up sometime soon. Baron Fig Vanguard Composition Notebooks (via Baron Fig). The most recent limited edition Vanguard (available with matching Archer Pencils) is among my favorite so far. Don't miss this one. Insightful Spectre Limited Edition Squire (via Baron Fig). A Halloween-themed edition from Baron Fig, which probably won't last long. A review copy is on it's way! Visconti Metropolitan Fountain Pen (via Pen Chalet). 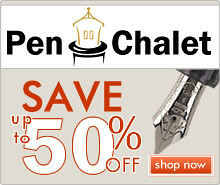 Pen Chalet has the Visconti Metropolitan, with the excellent Wall Street-style celluloid in Green. Limited stock available. Custom One Star Leather Notebook Covers (via One Star Leather/Etsy). If you've been looking for a handmade notebook cover for your Baron Fig Confidant, Leuchtturm 1917, or pocket notebooks, consider One Star Leather. I mention this again because they will shortly start to get very busy before the holiday season, so if you're shopping for a gift, etc., act soon. 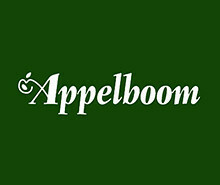 Pelikan Pens from Appelboom (via Appelboom). 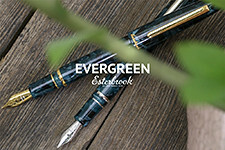 Appelboom has an excellent selection of Pelikan Pens, including all the recent limited and special editions, with great pricing and outstanding customer service. International shipping is free on all orders over 200 Euros. Blackwing Volumes (via Vanness Pens). 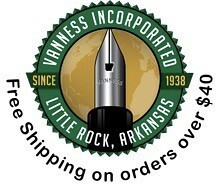 Vanness has three of the limited edition Blackwing Volumes pencils still in stock: #1 (Guy Clark), #205 (Jade), and #73 (Tahoe). When they're gone, they're gone, so if you've been waiting to pick up a dozen, jump on it now. 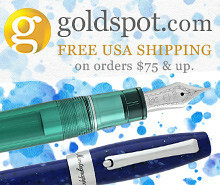 Free International Shipping Offer (via Paul's Paper & Pens). 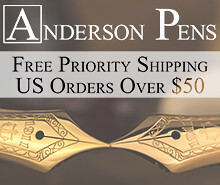 PP&P is offering free international shipping on orders over £50 using the coupon code "TGSfree". Take advantage of this great offer while you can! Hobonichi Weeks Planner (via Anderson Pens). Anderson Pens has more Hobonichi Weeks planners in stock, in both Green and Blue. Jibun Techo Planner (via Kawaii Tokyo/Etsy). The Jibun Techo Planner from Kokuyo has received some attention lately. A different take on the Japanese-style planner than the Hobonichi (though you can pick that up too in the Kawaii Tokyo store). Monteverde Monza Fountain Pen (via Pen Chalet). Monteverde has introduced a new demonstrator pen at the $20 price point. 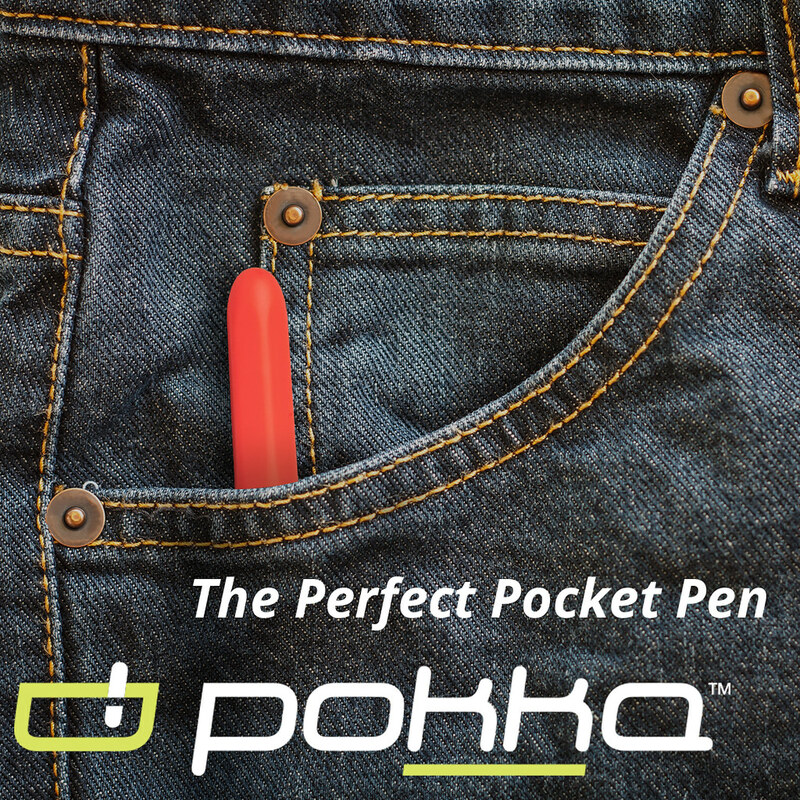 Some have remarked that this pen can be eyedroppered (YMMV, I've not done this myself). Noodlers Committee of Safety Inks (via Pen Chalet). Noodlers has released a set of four Revolutionary War Era-themed inks, designed to be used only with a dip pen or the upcoming Noodlers safety pen. Note: These are not marketed as safe for regular fountain pens. Taroko Design Shop (via Taroko/Etsy). In the past, I've mentioned Taroko Design, a Taiwan-based maker that sells notebooks and other accessories, including Traveler's Notebook Refills and other A5 Journals and Notebooks. 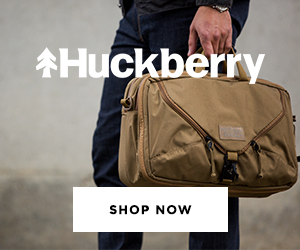 Turns out they have an Etsy store with all of their products in one place. Write Notepads "Fingerprints" Limited Edition (via Write Notepads). The new Write Notepads fall limited edition is out, and as you might expect, it's unique AND nice-looking.